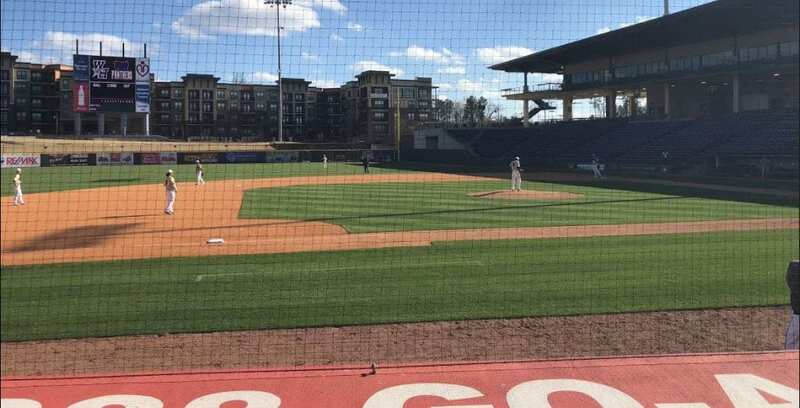 The Panthers faced off against the West Hall Spartans in a non-region exhibition game at Coolray Field which is home to the Gwinnett Stripers. Cole Davis took the mound for the Panthers. Prior to this game Davis had put up exceptional numbers. The game got underway following the 3:56 PM first pitch. Davis got off to a rocky start as he gave up 5 ER, allowing 5 walks and 3 hits. Davis was off early but recouped after the first inning as he didn’t allow another hit. Davis pitched 3 innings allowing 5 ER, 7BB’s and struck out 3 batters. Harkins relived Davis in the 4th inning. The Panther got off to rough offensive start as well as a Panther didn’t reach base until Baggett got a single in the 4fh inning. Banton came in relief for Harkins to start the 6th as Harkins pitched 2 innings allowing 2 hits, 2 walks and 0 runs. The Panthers got it going in the 6th offensively led by Kelley with a lead off single. The Panthers would score 3 runs with RBI’s by Banton and Baggett. UC fell to the Spartans 5-3. In the only matchup of the season. 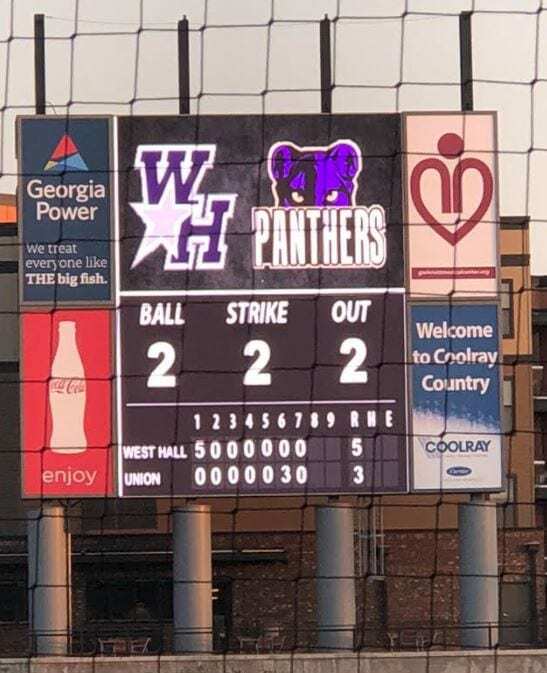 West Hall was led by Mercer University commit Jenkins who pitched 7 innings striking out 13 Panthers batters and only allowing 6 hits with 0 walks. The Panthers were led by Banton who pitched 2 innings allowing 2 hits and 0 runs. Baggett led the Panthers offensively with a RBI single and a double. Baggett was the only Panther batter to reach base more then once. The Panthers fall to 5-3. 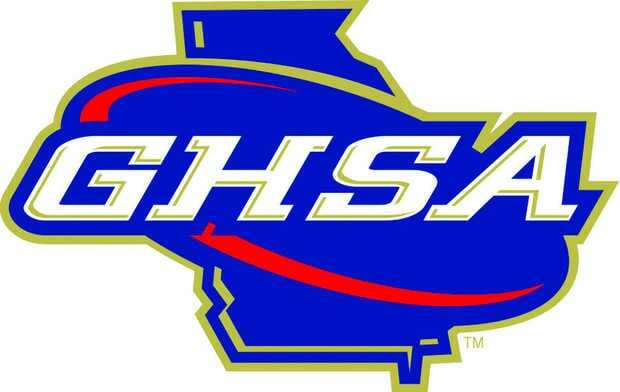 The Panthers next game will be Monday, March 12, at Lumpkin County High School in the first region game of the year.